Liesbet De Soomer, marketing manager for EMEA, Newell Brands (DYMO) believes it's up to employers to have a basic understanding of why labelling is important to ensure their staff are kept safe and are well looked after in the workplace on a day to day basis. 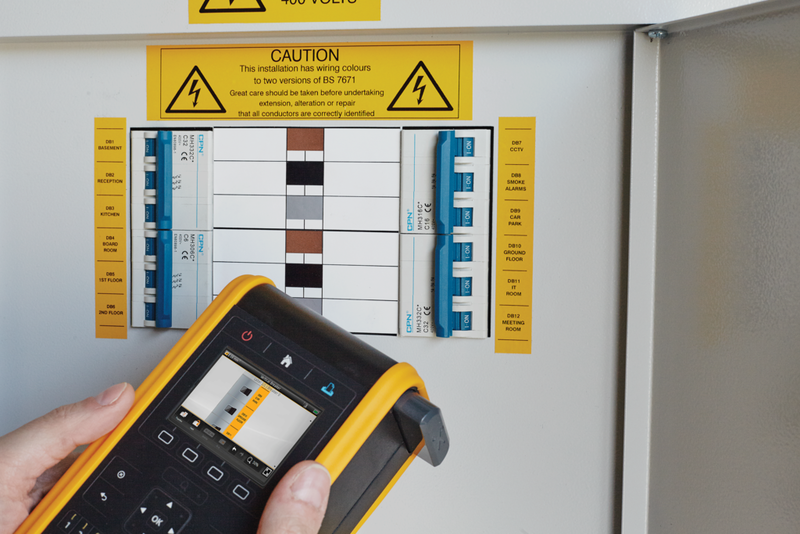 MRO professionals are subject to a range of ongoing internal and external audits which is why an understanding of correct and current labelling and industry standards is crucial. They are also responsible for overall workplace safety so have the added pressure of ensuring the end safety of any members of staff present onsite. It goes without saying that the direct impact on the bottom line and beyond is considerable. Once you have taken into account the costs – monetary and time – to the employee and the business, especially if it is found that there was a fineable offence, the effect is significant enough. However there are other implications to consider, such as the reputational cost – not just externally, but among current employees too. Every single person using machinery, particularly MRO professionals, should have an understanding of why correct labelling is an important part of ensuring health and safety. Whether they are marking pipes, producing warning labels or tracking assets they should have a sense of how ineffective or incorrect labelling can impact the safety of machinery. Whilst MRO professionals hold much of the responsibility to ensure proper regulations and audits are in place, it is also up to employers to manage the health and safety of their employees on a day to day basis. If employees believe the workplace to be improperly managed for any reason when it comes to health and safety, morale and commitment to the organisation will dwindle. As it stands, falls, slips and trips account for over a third (36%) of employee injuries. Looking at this further, these incidents accounted for nearly six in 10 specified injuries (59%) and almost three in 10 (29%) were injuries that resulted in the employee having to take more than seven days out of the business. So how can organisations and MRO professionals go about making their approach to labelling as efficient and effective as possible? The solution is two-fold – make sure that everyone who needs to know is aware of the importance of labelling and identification and secondly, make sure that the process itself is not a burden or arduous task. Taking steps to redesign processes is often a worthwhile investment. Finding existing templates that fit within external frameworks, and providing these to the individuals concerned is one way of addressing this. You can also create templates that work best for your organisation. Perhaps you can combine information from different areas into one place for ease, and run off as many as you need, when you need them. Increasing the visibility of labels in the workplace is a good way of raising their profile. Those that are colourful and bright will always stand out and be noticed. But communicating any changes being made to labels is another example of best practice. You may be implementing a series of changes and – rather than letting employees simply see these on an ad-hoc basis – you can use the opportunity to explain the rationale behind these in advance. 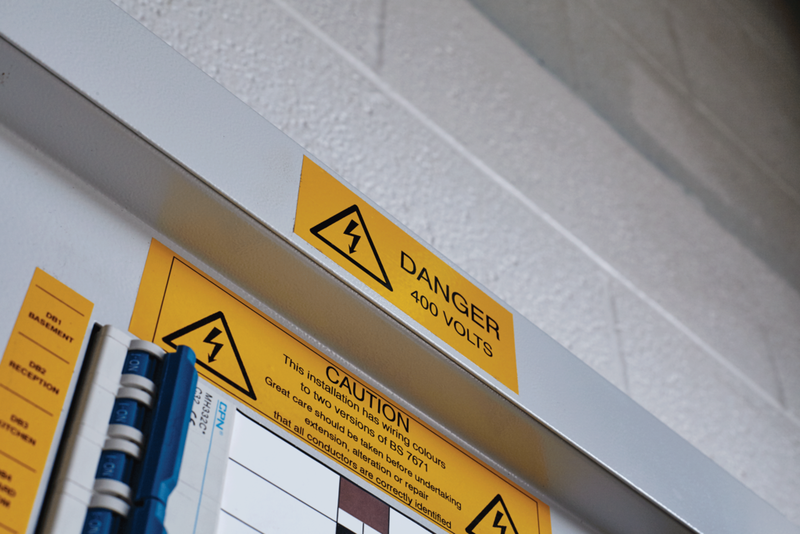 If you are responsible for health and safety you must communicate the importance of identification – particularly the critical role labels have to play in terms of identifying hazards. Trip hazards can be clearly marked. Machinery can be flagged as being dangerous or as posing a risk to people. Objects that have passed internal compliance processes can be clearly labelled, providing peace of mind to employees. It is also a good idea to invest in the right tools for effective labelling solutions. Durable, resistant and long-lasting labels will be a smarter option than something more temporary, which requires a level of re-labelling. You can also find the right printer that suits you and those who will be doing the actual labelling. For example, you may decide that you need a printer that can be accommodating and easily taken from site to site. Take time to understand the options available on the market and select the best one for you accordingly. Ultimately machinery has powered our industry and it is important for everyone to understand and apply the measures it takes to use machinery safely, this includes safe, efficient and effective labelling.